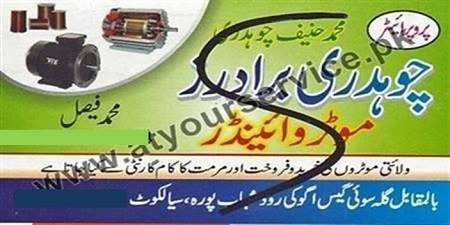 Chaudhary Brothers Motor Winder is located at Ugoki Road, Shahab Pura, Sialkot. We provide all sorts of motor winding services. Sale and purchase service of imported motors is also available.